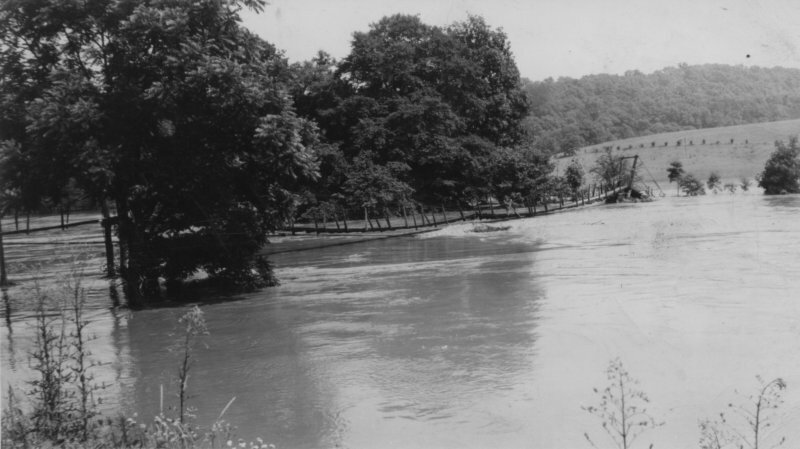 1936 flood. Swinging bridge going over to Jay Huth farm. Bridge has been gone for 30 - 35 years.